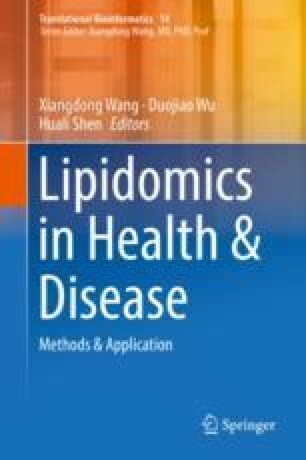 Urinary lipidomics has become an attractive arena in current biomedical research and life science because the urine is an ideal source for discovery of non-invasive biomarkers for human diseases. However, urinary lipidome profiling is not too simple because lipid concentrations in the urine are relatively low and high levels of salts and other charged compounds can interfere with lipidome analysis. In this chapter, we provide a technical overview of mass spectrometry (MS)-based urinary lipidomics and its technical challenges, such as exosome isolation, lipid extraction, isomer/isobar identification and clinical applications, for the future success of this field. This work was supported by Mahidol University research grant and the Thailand Research Fund (IRN60W0004 and IRG5980006).